Research Associate, Harvard Business School (2015-16); instructor, MIT (fall 2015) and University of Pennsylvania (spring 2016). Announcing the Thomas Kuhn’s “Structure of Scientific Revolutions” Comparison Watch! The official GIF of the competition. Following a Twitter exchange with Michael Barany last Thursday evening, I am pleased to announce the start of a new series on this blog: the Thomas Kuhn’s Structure of Scientific Revolutions Comparison Watch. This entry was posted in Structure Comparison Watch and tagged martin bernal, thomas kuhn on September 23, 2015 by David Singerman. Sociologists would recognize economics as a science, or: How low can U go? 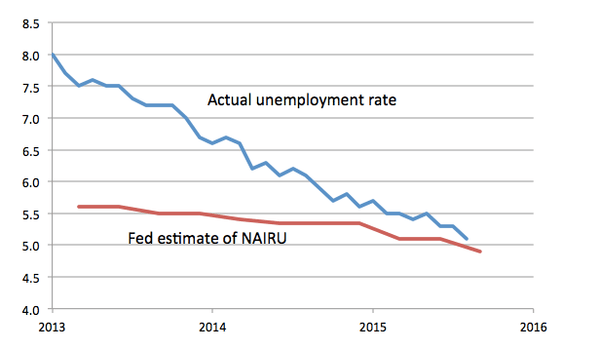 This entry was posted in Uncategorized and tagged economics, harry collins, neutrinos, paul krugman, trevor pinch on September 21, 2015 by David Singerman. In the March 2015 issue of Harper’s Magazine there’s a terrifying article by Esther Kaplan called “The Spy who Fired Me: The Human Costs of Workplace Monitoring.” Kaplan examines the $30 billion industry of “telematics”: software and hardware that allows firms and managers to surveil their workers in real-time and in excruciating detail. UPS trucks, for instance, now feature 200+ sensors recording and transmitting seemingly everything about the current state of the vehicle and the driver, from whether the back door is open to speed to whether the seatbelt is buckled. The data is not just gathered but can be, and is, watched in real time. These systems are pitched to drivers as safety benefits, but they are pitched to investors—much more persuasively—as saving hundreds of millions of dollars. “You can’t manage what you can’t measure” is a slogan she sees on one PowerPoint slide. As Kaplan writes, “Workforce-management technologies make productivity visible and measurable, allowing employers to distinguish between labor time that generates profits and labor time—down to the minute—that does not.” (Jonathan Levy has recently shown the ways in which “profit” itself was myopically redefined over the 20th century.) Instead, the costs are transferred to the drivers themselves, who increasingly have to sprint up stairs, buckle their belts behind them, and run yellow lights in order to make the delivery targets, leaving them fatigued and injured. In retail, employees are measured in other ways: how long between the end of one sale at a cash register and the beginning of the next, for instance. As Kaplan quotes one consultant, “The important thing is where the power lies,” and in a perpetually weak labor market, the power lies with employers. She documents the numerous ways in which retailers have combined shift-assignment software with instantaneous calculations of profitability, so that shifts can be and are often terminated on the spot when the software determines that the marginal value of an employee has dropped below zero. But employers like McDonald’s can, at the same time, require that employees stick around—unpaid—for an hour or more, in case the same software decides that sales have gone up again. Unpaid breaks are meant to be included, but the leanness of staffing means that very often there’s no time to take them. Of course, miss a shift or break a rule, and you’re fired. I couldn’t help, as I was reading Kaplan’s article, but think back to Peter Linebaugh’s extraordinary book The London Hanged: Crime and Civil Society in the Eighteenth Century (Verso, 2003). By looking at the charges against and testimony of those who were executed in London, mostly for theft, in the 17th and 18th centuries, Linebaugh shows how powerful mercantile and trading interests, in cooperation with the highest levels of the British government, gradually seized all the forms of “customary” income that had allowed the people of London to survive and redefined them as theft and fraud. For instance, he writes that “The class struggle in the oceanic tobacco trade took a metrological form, because the ambiguities of measure benefited the porters, the crews, the slaves, the lightermen and the ‘little inconsiderable persons'” (162). Legislators standardized the size and construction of the hogshead, the barrel in which tobacco was shipped. Whereas once it had been accepted that coopers and samplers were entitled to the little bits of tobacco that fell out during the sampling process, now that too was defined away as the property of the planter or the merchant. The construction of the West India Docks at the end of the eighteenth century as a massive walled-off area allowed all the workers who worked within to be searched at the end of the day for any sugar they were taking out with them. (The Supreme Court recently ruled that companies like Wal-Mart do not have to reimburse their employees for the time spent waiting for mandatory security checks after the end of their shifts.) Linebaugh writes that “Customary appropriations appear as inefficiency or waste to the technologist, as an inventory loss or transaction cost to the economists, and a depredation or crime to the police.” Replace “appropriations” with, say, “lunch breaks” and the sentence might have appeared in Kaplan’s piece. It’s incorrect, Linebaugh argues, to say that commodities in the 17th century or time in the 21st century are the property of the merchant or the employer—it’s the ownership of these things that is precisely in dispute. The connection between Linebaugh and Kaplan points to the way in which it historically has been far easier for employers to claim ownership of things that they can quantify. As Leonard Cohen sang of the end of the world: “Things are going to slide, slide in all directions / Won’t be nothing, Nothing you can measure anymore.” But whereas Linebaugh’s workers fight the imposition of new metrologies, we are foolishly doing the counting ourselves, through devices like the Apple Watch. As the philosopher Julian Baggini wrote in the Guardian, “smartwatches encourage a kind of auto-instrumentalisation, in which we treat ourselves as machines to be well-oiled, serviced and working at maximum efficiency.” The “quantified self” movement has mostly been thought of, perhaps because that’s how its adherents would like to see it, in terms of “new modes of introspection and self-governance.” But it’s a very public introspection, in which it’s not enough for me to track the pace of my run yesterday. I also, for some weird reason, feel a compulsion to slap it on the internet and share my whereabouts yesterday morning with all of you. In doing so, quantified-selfers might wind up doing the hard work of employers, who would claim their employees’ time as their own property. 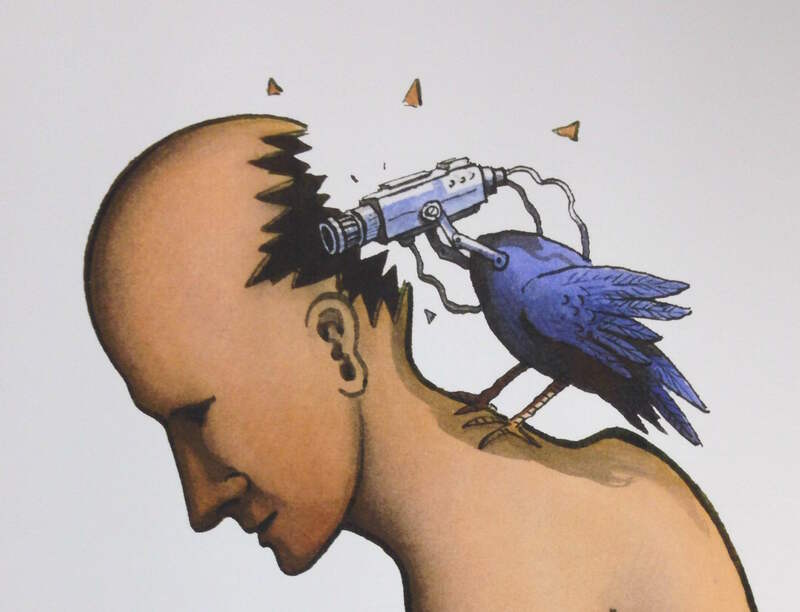 3/14/15 update: One further thought. Kaplan notes that she became interested in telematics because she noticed that a number of her deliveries resulted in “failed delivery attempt” slips even when she was at home. This was because, she discovered, when drivers are running behind their mandatory target pace, they will often slap those slips on recipients’ doors. It’s faster than actually delivering a package, but looks the same to the software, which doesn’t know whether you’re home or not. But really, how long is it going to be before the software starts scanning Facebook, or Instagram, or for that matter Strava (where I posted my run), to figure out whether the recipient is at home? If I put the over-under at two years, would you really take the over? This entry was posted in Uncategorized and tagged apple watch, history of capitalism, quantified self on March 13, 2015 by David Singerman. Rejoice! The American Historical Association’s annual meeting is upon us! This year the AHA has convened in New York City—at the Hilton and Sheraton hotels in Midtown Manhattan, to be precise. If you’re marching attending, there’s a pretty excellent app to download for your iOS or Android (and an equivalent mobile site for all four people still on Blackberry or Windows Phone). It lets you navigate and search the program in pretty much any way you desire. (Even cocktail receptions are included!) And thanks to a recent update, the app also lists interview locations, for those unlucky enough to have to wear a suit to the conference. One very useful feature of the app is “My Schedule,” allowing you to save and view only the panels you’re interested in attending. Here are the panels I’ve saved. I’m including some Friday-midday sessions, even though this post is going up too late for the reader of this post to take my advice. And of course, the iron law of conferences holds true here: though there are about 300 sessions at AHA, the ones you want to see will always overlap. This entry was posted in Uncategorized on January 2, 2015 by David Singerman. Now that the fall semester is just about done, we can all start putting together syllabi put the finishing touches on courses for the spring. For my part, at Rutgers, I’ll be leading a seminar called “Science in American Culture” (Hardenbergh Hall room A1, W 9:50-12:50). And as I finalize primary and secondary readings and materials, especially in the period of early American history with which I am less intimately familiar, I’ll be very grateful for something that Seth Rockman of Brown University passed on to me a little while back. At the summer 2014 meeting of the Society for Historians of the Early American Republic, in Philadelphia, Rockman exercised his societal presidential privilege to organize a plenary on “SHEAR meets STEM”—as in Science, Technology, Engineering, and Mathematics. In advance of the session itself (held at the super-cool Mutter Museum), the panelists had compiled and made available a terrific bibliography of resources, primary and secondary, paper and digitized, for the study of early American science and technology, framed around the categories of STEM. You can download the bibliography here: https://networks.h-net.org/system/files/contributed-files/shear-meets-stem-bibliography.pdf.The four panelists and bibliographers were Adam R. Nelson of the University of Wisconsin – Madison (who got Science), Nina E. Lerman of the Max Planck and Whitman College (Technology), Ann Johnson of the University of South Carolina (Engineering), and Caitlin Rosenthal of UC Berkeley (Math). Unfortunately, I don’t have the panelists’ individual comments, and I didn’t attend the conference myself (which took place the week my PhD was due). That said, one potential peril of using the S/T/E/M tetrachotomy to discuss inclusion and exclusion is knowing how to classify what’s been left out. For instance, I recently read Wieland, a 1798 novel by Charles Brockden Brown, the first professional (full-time, that is) novelist in the U.S. It’s amazing, well worth reading, and completely bonkers: it begins with a case of spontaneous combustion in a gazebo overlooking the Delaware River. The late Jay Fliegelman, in his fabulous and necessary introduction to the Penguin Classics edition, explains the ways in which Brown is addressing questions and terrors of free will, rhetoric and persuasion, and the place and nature of authority in a democracy—concerns which, he compellingly argues, preoccupied citizens of the early republic. As I read the book, and especially when I then read, Fliegelman’s introduction (I recommend that order, to avoid spoilers), it was obvious that this highly epistemologically-interested work should be included in any discussion of early American science. But it’s difficult, though by no means impossible, to figure out where a work like “Wieland” fits on a STEMatic list. I think that points to a plea Rockman made in his wrap-up—for a home for the list that allows it to surpass its current form, especially but not only the immutable mobility of a PDF. Surely a compilation like this is most powerful if it is flexible, and can incorporate expertise from beyond the panel that created it. What’s more, a bibliography of 18th- and early-19th-century primary sources might very profitably take advantage of the fact that so many of those sources are fully digitized and in the public domain, on Google Books, HathiTrust, and the like. As it stands, the links in the PDF are really valuable, but as far as I know the bibliography still awaits a medium that enables it to integrate those sources—one that makes it more than a list of links, and makes it easlier to recalibrate, reassemble, and experiment with. Perhaps a Zotero group is in order? Until such a format comes about, however, my students will already have the “SHEAR meets STEM” plenary to thank for enriching their spring. This entry was posted in Uncategorized and tagged early republic, SHEAR, stem on December 12, 2014 by David Singerman. Like a lot of us, I’m applying for jobs. In practical terms, that means I have been firing a lot of PDFs into the cloud, with no reason to believe that anyone will ever read them. Months go by with nary an automatic email of receipt. So when, one recent day, I heard from an institution’s search committee, my surprise was so complete that my mind could only grasp its dimensions through an analogy. Or, more precisely, through an analogy to an analogy. Pais points out that, given what we now believe about the atom, Rutherford was fortunate in his choice of experimental apparatus and in his approximations (but what’s new?). It isn’t Rutherford’s experimental apparatus that’s interesting to me, but the analogical one. The phrase had been lodged in my brain for many years, but this time I was suddenly curious, in a way I hadn’t been before, about its material components, the shells and the tissue paper. This is probably because I have recently been reading about things—reading about how, over the past decade or so, historians, anthropologists, philosophers, literary critics, and others have gotten interested in studying recalcitrantly material things, as opposed to compliant objects, and the relations between their thingness and the meanings we give them. In understanding the things of Rutherford’s analogy, I first thought, its timing might be crucial; but it turns out that in understanding the chronology of this experiment’s interpretation, Rutherford’s analogical things might help. It appears that in 1909—when Rutherford claimed, later, to have immediately registered his shock—15-inch shells did not yet really exist. HMS Dreadnought, the 1906 battleship famous for instantly rendering every other warship obsolete with her steam-turbine speed and heavy armament, boasted guns “only” 12 inches in caliber. 15-inch shells would only implausibly have been in the arsenal of metaphors for a layman to draw on. But by the time Rutherford returned to Cambridge and the Cavendish in 1919, where his analogy was first reported, guns that big had become major things. During the First World War, the Paris Gun of the Krupp firm, mounted on a railway car, had bombarded Paris from 80 miles away. Even that, however, wasn’t very big, below 10 inches. 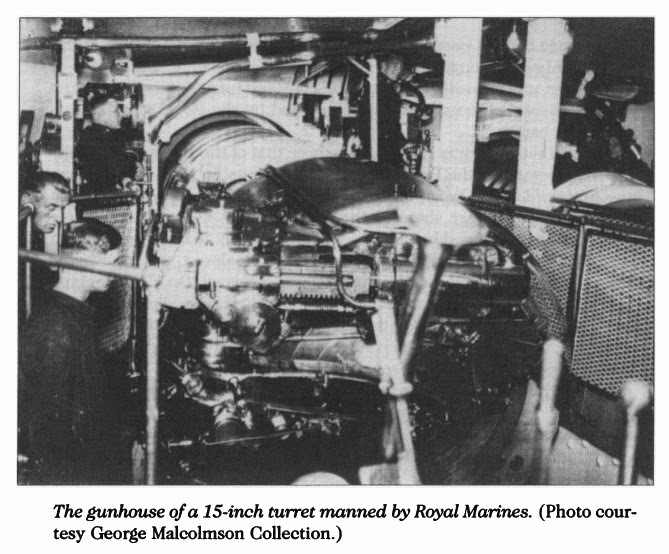 15-inch guns were really large. They were, with rare exceptions, only mounted on battleships and battlecruisers. Yet while British 15-inch guns had become cultural things, their shells were most famous for their failures to penetrate their targets. The Royal Navy’s largest projectiles had embarrassingly failed to make a dent in German armor at the Battle of Jutland in 1916, exploding harmlessly against their opponent’s plates, while several British ships had detonated after taking a paltry number of salvos on their lightly-armored chins. In other words, when Rutherford is recorded to have first made this analogy, 15-inch shells were actually known for their tendency to bounce off their targets. And this analogy couldn’t have been made much before he arrived at the Cavendish in 1919, or else it would have had to have been a smaller-bore analogy. Do analogies, like guns, get re-bored at higher calibers? Perhaps this is evidence that Heilbron is right: Rutherford’s surprise was retrospective. I leave it to historians of atomic physics to tell me if this is important. Or perhaps it’s evidence that the comparison to faulty weaponry was not meant to imply such great shock after all. Or perhaps a 15-inch shell is just a 15-inch shell. And I haven’t even talked about the tissue paper. Consider this somewhat odd post, therefore, a call for those who know more about atomic physics, military history, and the history of fibers than I do to consider the “thingness” of the things in Rutherford’s phrase. Photos, via JSTOR.org, from Nicholas A. Lambert, “‘Our Bloody Ships’ or ‘Our Bloody System’? 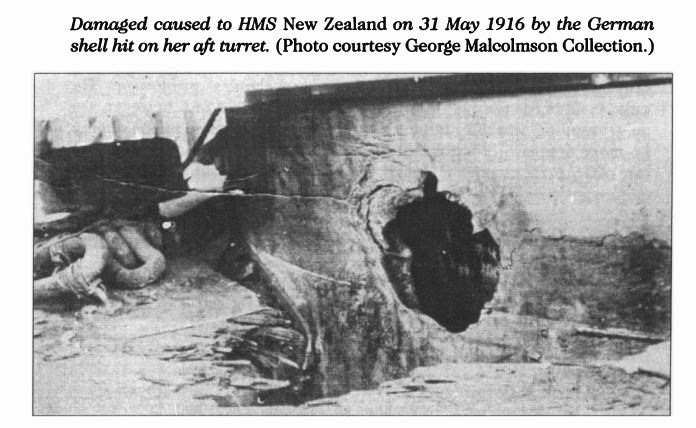 Jutland and the Loss of the Battle Cruisers, 1916,” Journal of Military History 62, no. 1 (1998). This entry was posted in Uncategorized on November 8, 2014 by David Singerman.